Great for sharing, our latest gift option, the Bronze Tier, is waiting for you! A full pound of our rich Milk Chocolate Covered Pretzels are accompanied by 12 oz. of crunchy and sweet Milk Chocolate Nonpareils and topped off with 8 delectible Milk Chocolate Covered Oreos®. 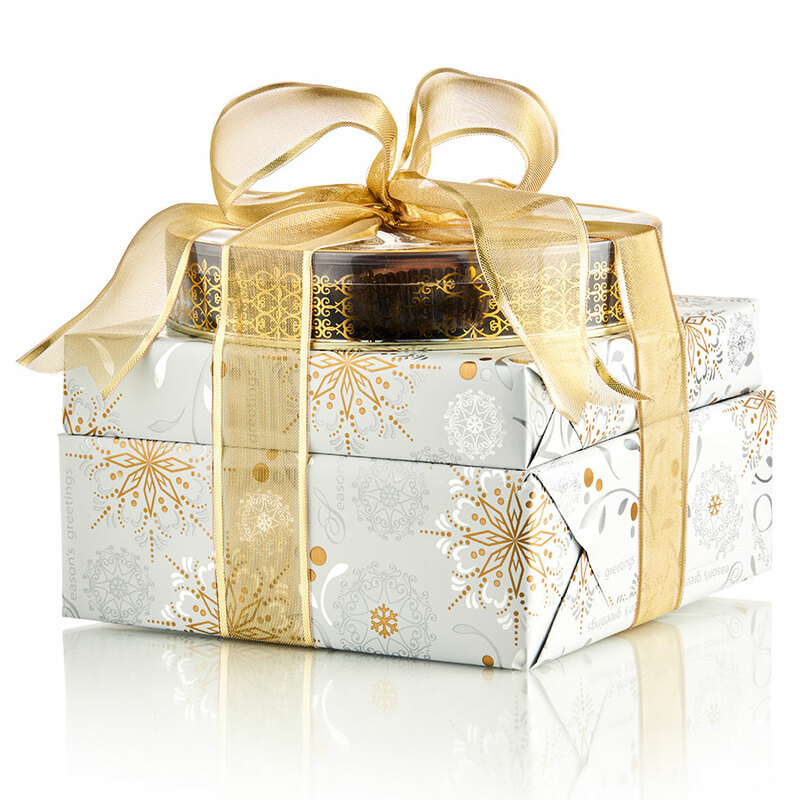 All elegantly wrapped and finished with a hand-tied bronze bow. Wrapping paper may vary based on season and availability.